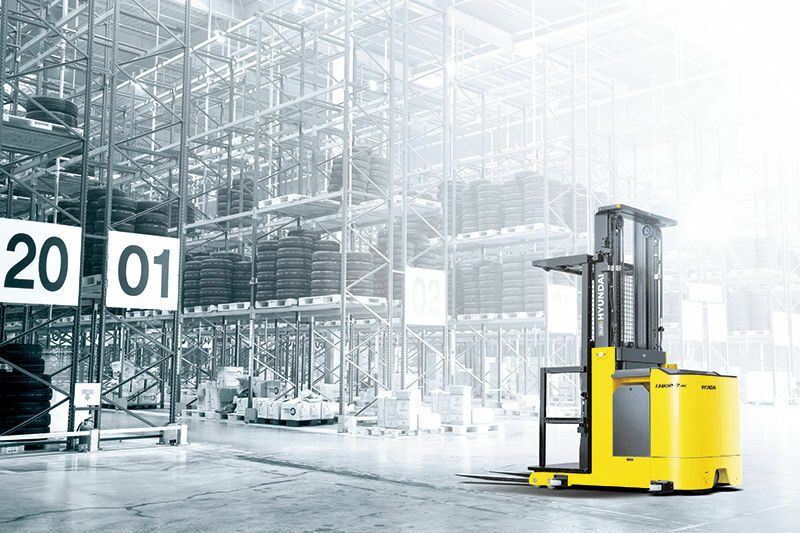 Featuring compact construction and minimal turning radius to operate in confined areas, the 13BOP-7 narrow aisle forklift by Hyundai Forklift is a 100% AC powered, electric, counterbalanced, moving mast reach truck. It is equipped with an efficient, high-powered 5.2-kilowatt AC motor and an 8-kilohertz high frequency controller that make the machine virtually silent. The vehicle provides smooth and quiet operation, along with protection from low and high voltage, overheating and fault recording. Additional fork raising is also available for increased operator efficiency.